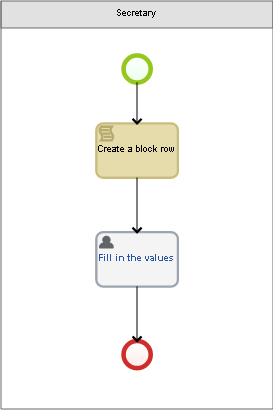 When you use blocks in process tasks, it may be necessary to write the variable values of one block as variable values of another block. For example, you many need to write the sum of values in a column of one block to another. The block contains information about the sales volume of a company’s product for each quarter. Q4 – sales volume of this product in the fourth quarter, Integer-type. The block contains information about the sales volume of all the products for each quarter. The block and its properties are read-only. Sum_Q4 – sales volume of all the products in the fourth quarter, Integer-type. Write a script, which will automatically fill in the values of the second unit when the values of the first unit are filled in. Use a standard on-change script, linked to a Sale_Product block variable. 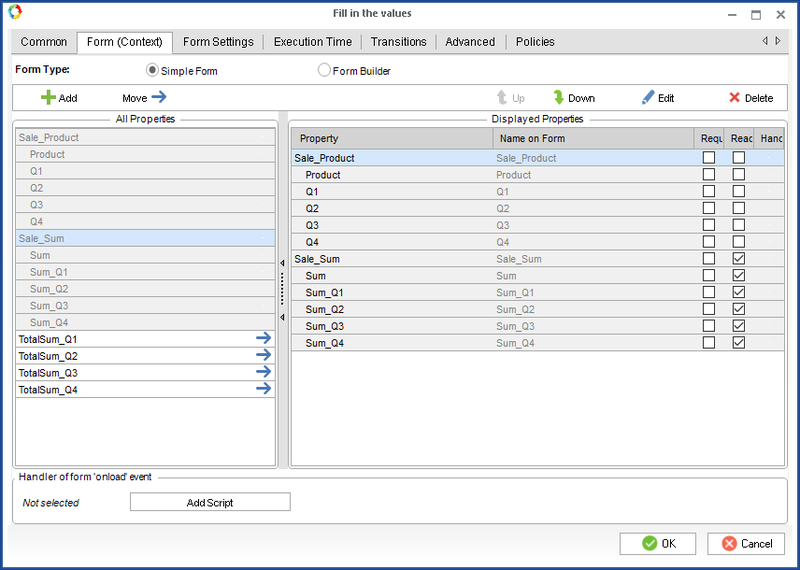 This script will be executed when a new element is added or an existing element is edited in the Sale_Product block. I.e. every time the Sale_Product block is changed, the values of the Sale_Sum block are recalculated. TotalSum _Q4 – sales volume of all the products in the fourth quarter, Integer-type. Use a simple process to see how it will be displayed in Web Application. It is convenient when one user inputs current values in a process, and another user needs to be shown only the aggregated values.